Rafael Nadal has faced off with Dominic Thiem on 10 previous occasions but on Tuesday, the pair will meet on hard courts for the first time, with a place in the US Open semi-finals on the line. So far, their rivalry has been contested exclusively on clay, with Nadal leading the Austrian 7-3 head-to-head. Tuesday’s clash will provide a new chapter for the duo and Nadal is looking forward to the challenge. 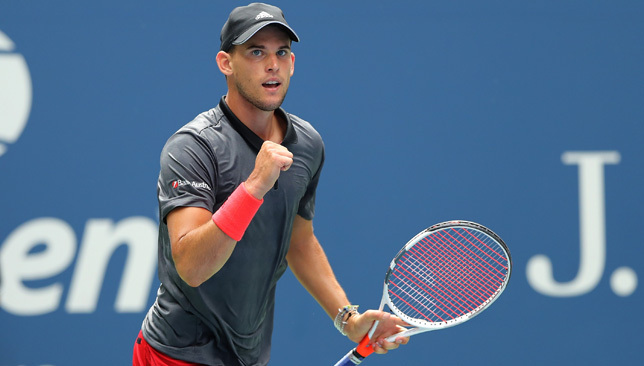 “Thiem is more of a specialist on clay, and so am I, so it [playing him on hard court] is not something favorable for me,” the US Open defending champion told Spanish press on Sunday following his four-set win over Nikoloz Basilashvili. This is the first time since 2011 that Nadal has made the quarter-finals or better at each of the four Grand Slams of the season. The Mallorcan lost in the Melbourne quarters, won Roland Garros for an 11th time, and fell to Novak Djokovic in the Wimbledon semis this year. On Tuesday, Thiem ended a six-match losing streak in Grand Slam fourth rounds not played on clay by posting just his second victory in eight meetings with last year’s runner-up Kevin Anderson in straight sets. 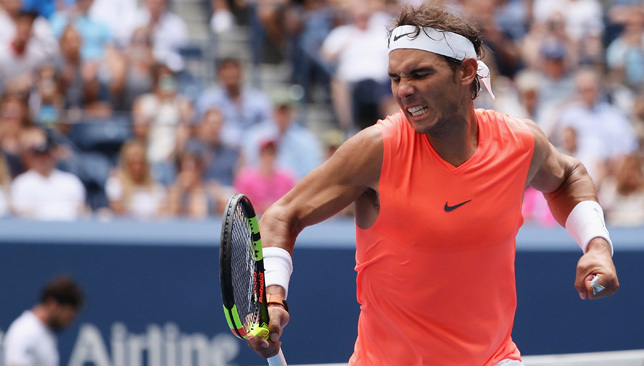 Nadal was tested in his last two rounds, edging past Karen Khachanov in four close sets in round three, before dropping a set to Basilashvili on Sunday. Asked what he thinks he needs to improve in his game moving forward, the three-time US Open champion said: “I think a little bit the speed of my cross-court. My forehand down-the-line is working well, which is a very important shot for me. What’s not working as well [as my down-the-line] is the opening ball towards the backhand of the opponent. “I’ve hit very good down-the-line forehands but too many of them are right on the edge, with very little space. When I open more the court towards my opponent’s backhand, I have more margin to hit my down-the-line forehand and my possibilities increase much more. Nadal has lots of respect for Thiem, he is the only one who has managed to trouble the Spaniard on clay in the past two seasons. “He’s a fantastic player,” Nadal said of the Austrian. “He’s a very powerful player. He’s a great guy. Very good relationship with him. Happy for him that he’s in quarter-finals here. Last year he lost a very tough match against Del Potro here. Thiem is aware of what he did well to defeat Nadal in the past but maintains that nobody’s game matches up well against the world No. 1. “I think that I have very powerful ground strokes, and I can even hurt him with them. But the key is to play really fast and powerful. But on the same time, not make too many mistakes,” said the 24-year-old Thiem. 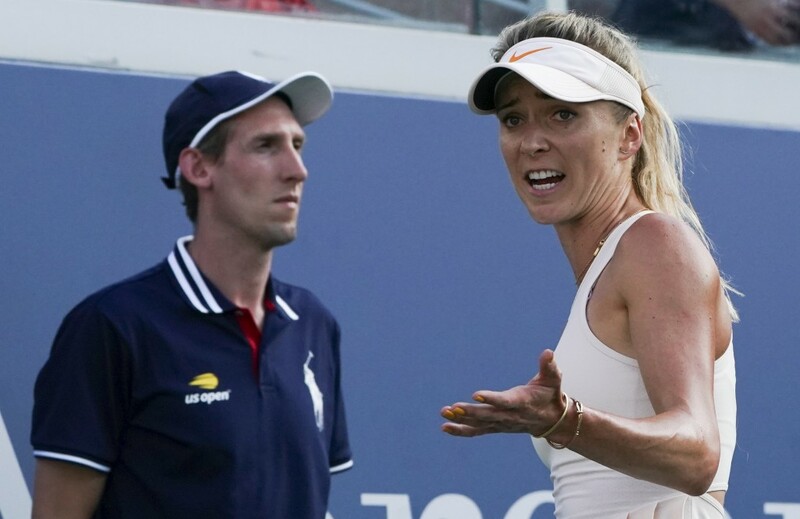 Elina Svitolina feels she must go back to the drawing board and make adjustments to her game, the Ukrainian told reporters after her US Open fourth-round exit. 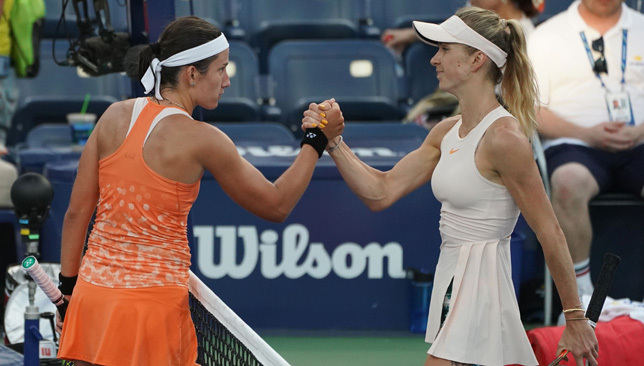 Svitolina, who is still searching for a maiden Grand Slam semi-final, lost 6-3, 1-6, 6-0 to Anastasija Sevastova, who is through to her third consecutive US Open quarter-final. The No. 7 seed could not hide her disappointment following the conclusion of her Grand Slam season, and believes some changes need to be done regarding her game after the significant weight loss she underwent earlier this season. “I think there is few things I have to sit down with my team and think about. I think physically I have to get much stronger since, yeah, there have been a change in my body,” Svitolina said on Sunday. “I think it takes a little bit more time than I expected to get used to it, because I have to change a little bit my game style. Because playing the same way as I was playing last year, I know my body is not allowing me to show my best. Svitolina has won three titles in Brisbane, Dubai and Rome this season but at the majors, she lost to Elise Mertens in the Australian Open quarters, fell to Mihaela Buzarnescu in the French Open third round, and lost her opener at Wimbledon to Tatjana Maria. “I would say it’s average,” said Svitolina of her 2018 Grand Slam results. The season is not over yet for Svitolina though and she is already thinking about securing a spot in the WTA Finals in Singapore. The 23-year-old is fifth in the Race to Singapore and is looking to make her second consecutive appearance at the top-eight season finale.